Nagpur (Maharashtra), Oct 23 (IANS) Against the backdrop of around 40 farmers’ deaths due to poisoning by insecticides, Nationalist Congress Party (NCP) President Sharad Pawar on Monday blamed the Maharashtra government for easy availability of unlicensed pesticides in the market. He demanded stringent action against the officials, especially from the agriculture department as being responsible for the deaths of so many farmers besides over 2,000 others who have been affected in varying degrees. “There are stringent laws to control such illegal pesticides and institutions to enforce the laws. No pesticide can be available in the markets without the nod of the institutions,” Pawar pointed out, interacting with mediapersons in the afternoon. 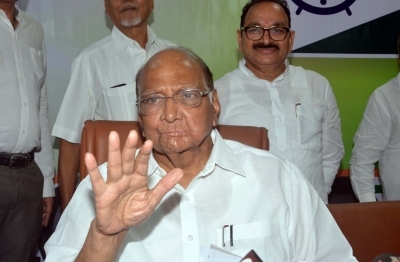 Pawar’s statement came three days after the state government’s panel Vasantrao Naik Shetkari Swavalamban Mission Chairman Kishore Tiwari demanded a CBI probe into the reports of sale of around 3.50 million packets of illegal Herbicide Tolerant genetically modified cotton seeds. Tiwari claimed that cotton plants from these Herbicide Tolerant seeds have recently suffered huge bollworm pest attack, leading to the indiscriminate use of deadly insecticides, and the subsequent deaths of at least 40 farmers. Attacking the ruling Bharatiya Janata Party government at the Centre and in Maharashtra, Pawar held them responsible for various pending issues related to farmers, including the improper implementation of the loan waiver scheme in the state. Pawar charged the ruling BJP-Shiv Sena alliance of implementing it without proper planning owing to which the intended beneficiaries are facing huge difficulties. “Many farmers have not received the benefits of the scheme so far. We shall wait and watch for another fortnight or so.. If the government fails to clear the mess, we shall be forced to resort to an agitation,” Pawar warned. He also threw his lot behind the farmers who have lost their crops due to the receding monsoon rains in many parts of the state and urged the government to help them on priority “without bothering too much about rules and regulations” for the calamity they are burdened with.